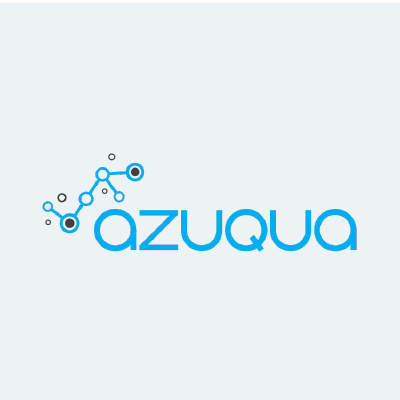 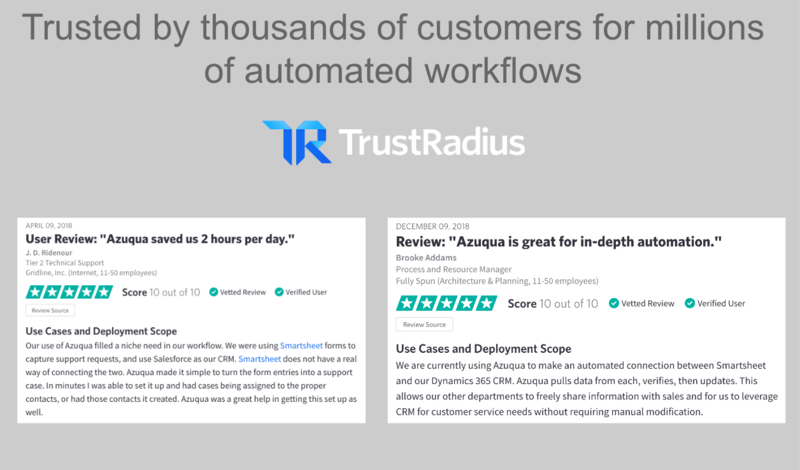 Create a best of breed software stack and automate key tasks between Qualtrics and all of your other SaaS applications with Azuqua. 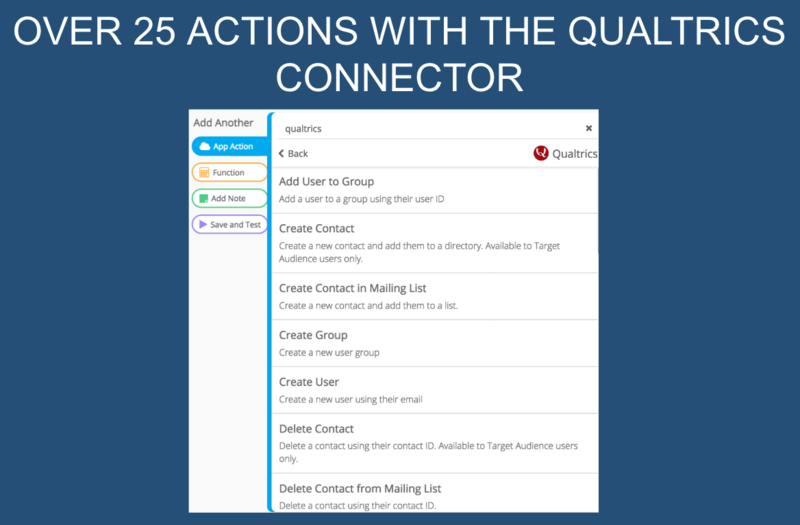 The integration is an add-on feature not included in the standard Qualtrics license. 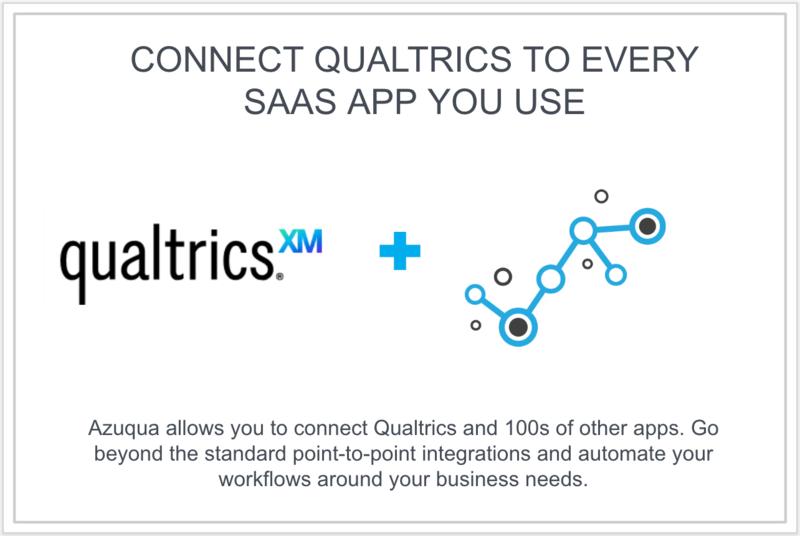 If you’re an existing Qualtrics customer, contact your Account Executive. 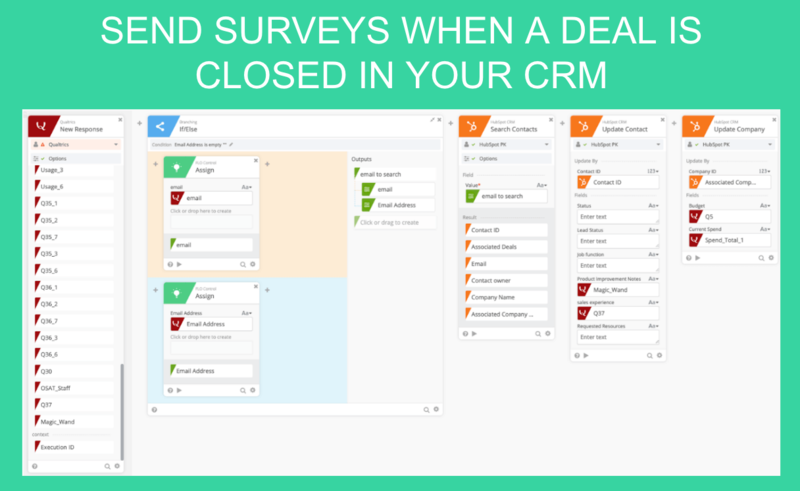 If you do not know your Account Executive, please request a demo above.